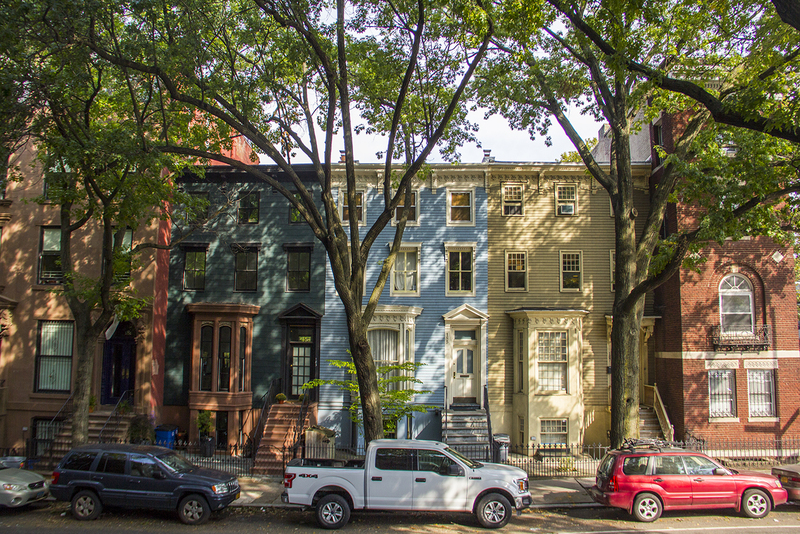 For one New Yorker, quiet strolls through the city lead to major discoveries. New York is a city built for walking. This is especially true if you, like me, are too skittish to bike, too tight with money to take cars, and too impatient to contend with the subway except when absolutely necessary. (The bus is a wonderful institution but often unreliable.) And so on most weekend mornings, when I’m not required to cross water between my home in Brooklyn and my office in Manhattan, I walk. It’s generally the same route: westward from Bed-Stuy, through Clinton Hill and Fort Greene, sometimes dipping down into Park Slope and Windsor Terrace if I’m feeling ambitious or restless. 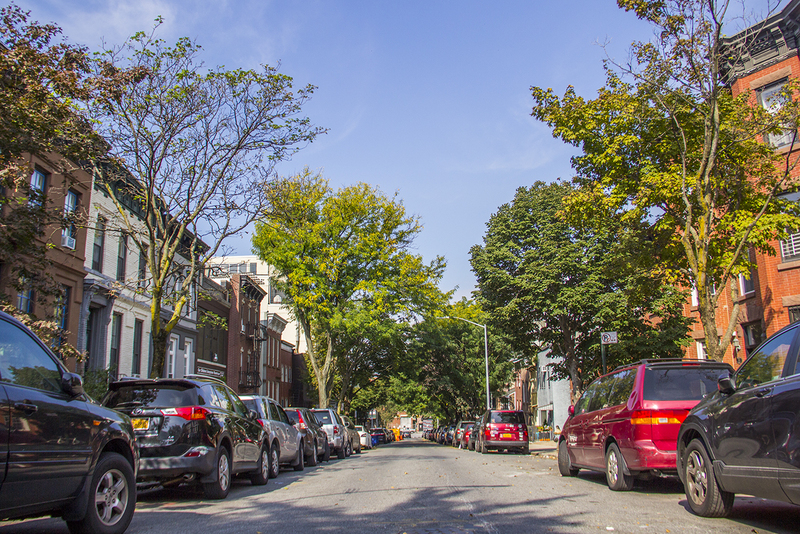 Greene is a particularly lovely avenue to walk, populated in an almost too on-the-nose way with lush trees and overflowing brownstone gardens. Lafayette, too, provides a beautiful straight shot. There are cafés and little stores, the occasional farmers’ market, some sidewalks smooth and others jagged, hot dads with strollers, stoop sales, scooters, all the disparate pieces that make up a Saturday, that make up a life. I tend to have a vague destination in mind—Trader Joe’s, the movies—but mostly I think what I want is to be reminded that I am just one more small part of it all. And there are the houses. 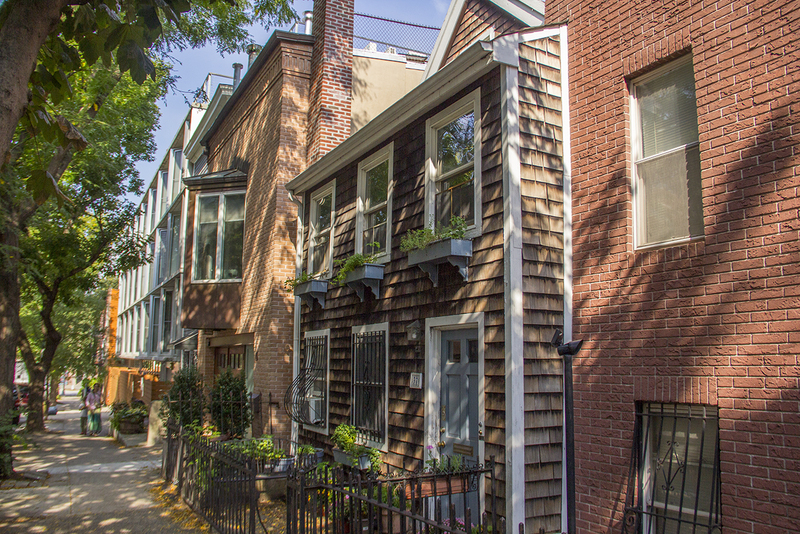 Amid the apartment buildings and brownstones, even, occasionally, between retail spaces and restaurants, there are honest-to-God houses, some with siding and gables and, amazingly, front porches. These houses are often much smaller than the surrounding structures, towered over by their neighbors like a toddler at a backyard barbecue, but every now and then a few sit perfectly to scale, shoulder to shoulder with their more uniform, less assuming cousins. But no matter their size, they all seem to me more like replicas than actual dwellings, an impossible place for someone, least of all a New Yorker, to actually live. The houses themselves look old-fashioned—especially when offset by the concrete developments that have sprung up across the city—but they also have strong enough centers of gravity to make you think that they’re in scale and everything else is off. 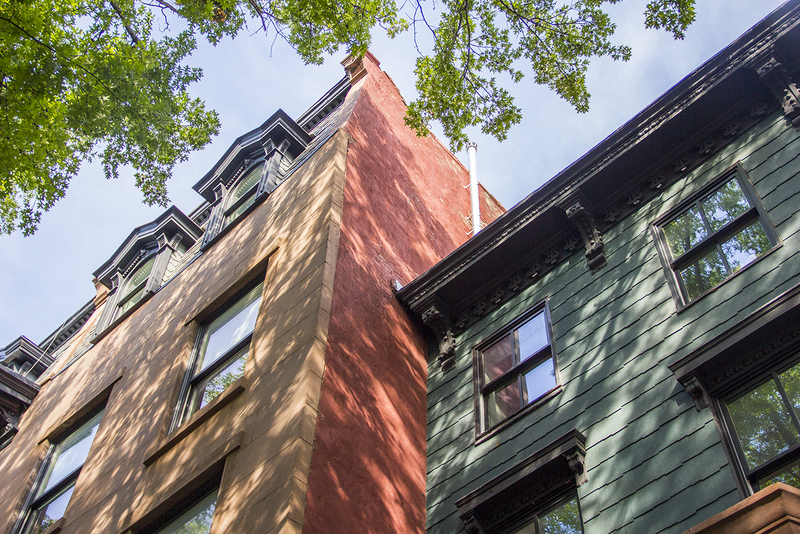 One of my favorites of these structures is on Garfield Place in Park Slope. This house recently got a shout-out in a New York magazine article, which I don’t think does justice to how freaking cute it is, with its off-center blue front door and perfectly sized window boxes. I used to pass it when I lived in the neighborhood, and now I visit occasionally, as if it were a favorite bodega cat. There’s another house, with a flat roof but an incredible porch to make up for it, on a corner abutting Lafayette near the Classon Avenue G stop, where, against my preconceived idea of inhabitability, I sometimes see a resident or two sitting on that porch while the rest of the world streams past. I’m reluctant to fantasize about other people’s lives, but in this case I can’t always help it. I’m reluctant to fantasize about other people’s lives, as complex and layered as they must be, but in this case I can’t always help it; I imagine them living simply, deliberately, to have found a bit of slowness in the breakneck pace of the city. Not in the smugly austere manner of Instagram minimalists, with their $3,000 fold-down beds and $400 building blocks for their suspiciously clean children, but in a way that looks more like reading the newspaper from cover to cover as soon as it arrives and then recycling it immediately. I let mine pile up, unread, for weeks or sometimes months, always swearing I’ll get to it this weekend, the next, except that I’m too tired or moving too fast or dealing with any number of tiny or big issues that command my attention. One day, inevitably, I grow exasperated and throw out all the rubber band–wrapped papers in one fell swoop. The walking, it sometimes feels, is the only time when I can actually force myself to slow down and look. Of course it’s partly nostalgia that attracts me to these squeezed-in homes—for Old New York (conveniently minus any attendant problems), as well as for my own suburban upbringing—but more than that, it’s the sheer incongruity of them. I like that they’re a little odd, a little inexplicable, a little tear in the fabric of the city, with room enough to stop and nestle in and read your damn newspaper. These houses are a reminder that this whole place was made by hand, developed decade over decade by a series of layering and overlapping and contradicting choices. New York was not always the way it is now, and will continue to change long after you stop looking, long after I continue on my walk. Alanna Okun is the author of The Curse of the Boyfriend Sweater: Essays on Crafting, available now, and deputy editor at The Goods/Vox.